Find sets and products quick and easy! This is an updated version of "The West - Quick items search" made by neversleep1911. I added new categories, all the new sets and completed all the item-IDs. Furthermore multiple languages are supported now. 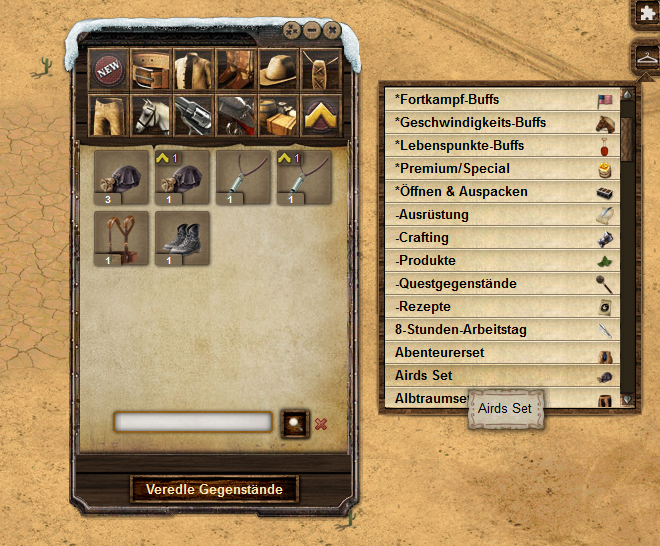 This script adds a button on the right side for showing the different sets, types of buffs and other products in your inventory. The sets are available in all server languages! Now install the user script.